YouTube is the world’s most popular video hosting and sharing application. It is used by 100+ million users on daily basis. YT entertains users for free. It also gives users access to tons of free educational videos. YouTube is used by the world’s largest media houses, manufacturers, and production companies to reach a wider audience. Apart from trailers, shows, movies, product details, and short clips, YouTube allows you to watch 100s of live TV channels. Despite being a great app for learning and self-entertainment, YouTube has been blocked in some countries. DailyMotion is a YouTube alternative app which is available for download in 35 countries. It is smaller in size compared to YouTube and has several features. To make sure that users don’t find irrelevant videos in their feed, DM detects the user’s location and displays a list of popular/trending videos in their country. In case you don’t find the recommended videos interesting, you can change your location to see videos popular in other countries. As in YouTube, you can create and share the playlist in DM. 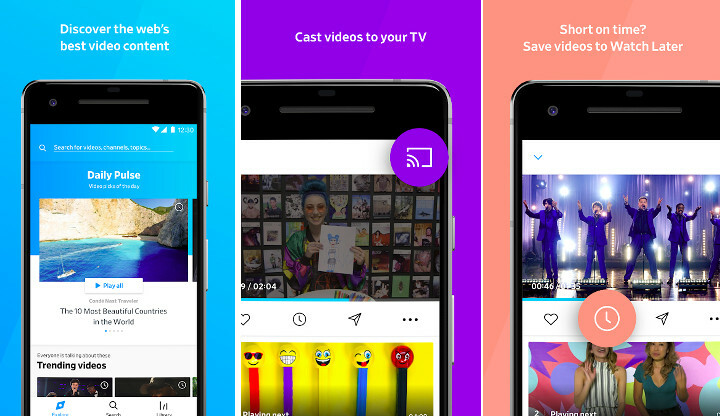 Users of the DailyMotion app can cast videos from mobile to PC or to a smart TV. They can also follow a channel and change the video streaming quality. 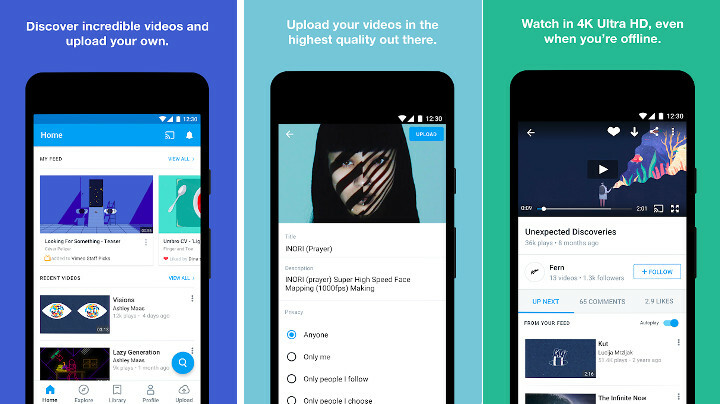 DailyMotion enables users to search videos by name. It supports “Watch Later” feature. The app reminds users to watch the videos in their “Watch it Later” list. DailyMotion allows you to save videos on the phone for offline viewing. To save videos, you should be logged in to the app. Vimeo is a video sharing/discovery platform used by people who want to share their creativity with the world. You won’t find videos from top media companies, funny clips, or trailers in Vimeo, but you’ll still enjoy the app. Why is this so? Well, Vimeo compiles a list of interesting clips shared by users all over the world and displays the same on the phone’s screen. Vimeo lets users like and share videos. It also allows them to filter videos by length, relevance, popularity, category, etc. It has the option to follow channels and other users. As in DailyMotion, users can add videos to the “Watch Later” list. Vimeo doesn’t let users change the video playback quality. The app is not as powerful and popular as YouTube & DailyMotion, but it has a huge collection of videos that you’ll not find in other similar apps. Facebook is not only a social networking site but also a great video sharing/hosting site. People all over the world share videos uploaded on Vimeo, YouTube, and other sites on Facebook. 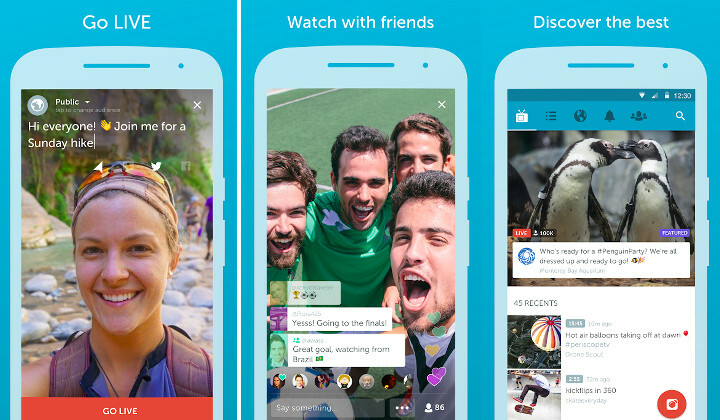 The social networking giant presents the videos in its own format. FB displays videos shared by pages you follow or groups you’ve joined in the news feed. To watch the video, tap it. The interface color of Facebook app turns dark from light when you’re watching a clip on FB. Facebook compiles a list of videos similar to the one you’re watching and displays the same on the screen. To change the video, swipe up or down. 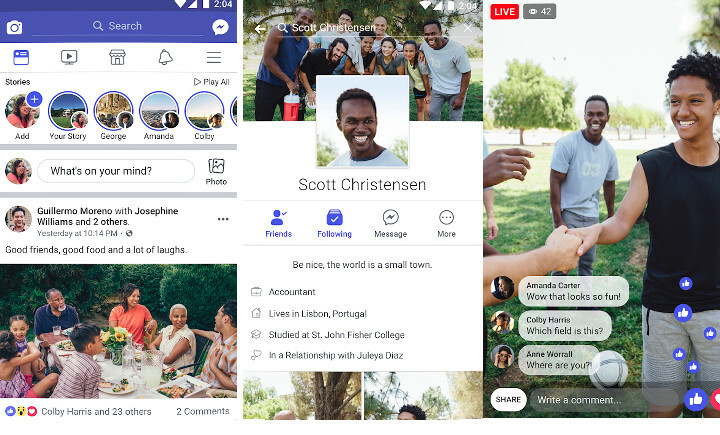 Facebook enables users to live stream events. When you’re live on FB, your friends or followers can comment, like or share the streaming. Although FB doesn’t allow you to download videos, you can bookmark videos for watching it later. Due to budget constraints, it is not possible for everyone to visit another country. Periscope allows you to see what’s happening in your favorite city or dream holiday destination through the smartphone of other users. It also keeps you updated with the latest news and weather information with the help of live videos. Users of the Periscope app are called broadcasters. You can follow broadcasters and watch live streams shared by them. You can also chat with the broadcaster in real-time. The app displays the number of users that are currently watching the video. It features a country filter. It allows you to skip frames. Periscope is owned by Twitter Inc and it requires account registration. YouTube is one of the favorite sites of gamers. Gamers record their gameplay and share it with the world via YouTube. In the last few years, Twitch has emerged as a great alternative to YouTube. Why this is so? Well, Twitch is gamers exclusive site. It contains clips/live streams of video games only. Twitch app allows you to find and follow pro gamers. When you follow a user, the app will display a notification whenever the gamer is live streaming his/her gameplay. 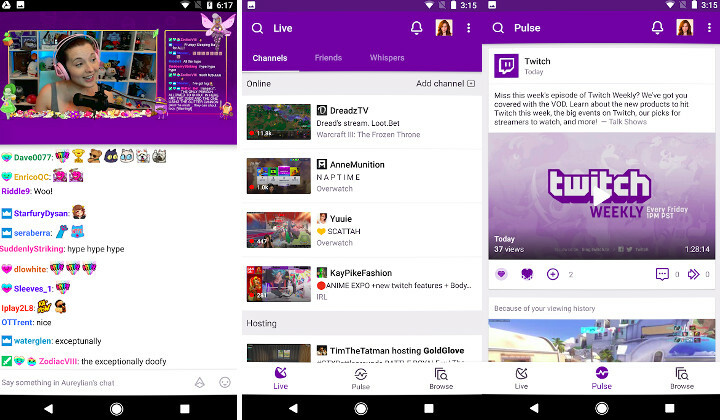 Followers can interact with broadcasters in the Twitch application. Twitch makes you aware of the most popular video games. It helps you learn to play complex games and discover strategies that will help you in defeating the opponent. Twitch has filters to shortlist videos by their popularity. Its size is around 30 megabytes. The above five apps i.e. Vimeo, Facebook, Twitch, DailyMotion, and Periscope are not as powerful and popular as YouTube, they’re worth trying out.